End-of-school-year craziness. Any educators who follow this blog know how insane the end of a school year is. Inventory. Meetings. Tracking down overdue books. Awards days and celebrations. Gathering materials checked out to teachers. Too tired to move at the end of the day. Not to mention my library got new carpet during the last week of school. That was its own brand of crazy. Netflix. Yes, I blame Netflix for my lack of reading lately. When I got home from school, I wanted to zone out a bit, and I did that with the help of the IT Crowd, the Bluth family, and the Brothers Winchester. I have no regrets. Defiance, the ebook. 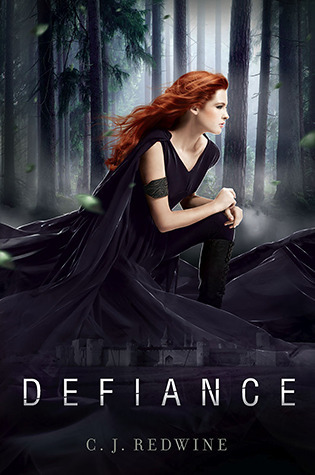 I downloaded Defiance as an ebook to my Kindle app when it was one of Amazon’s Kindle daily deals. I’ve found that it simply takes me longer to read ebooks than it does print books. For whatever reason, I find it easier to get lost in a print book than an ebook. I don’t know why. Anyhoo, no matter how you look at it, it took a while to read Defiance. 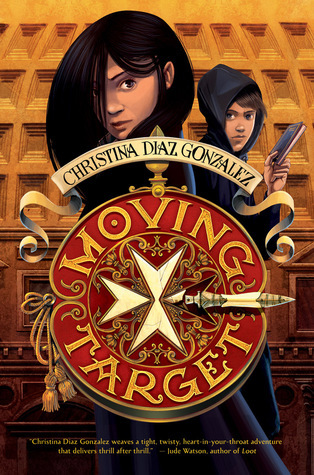 It was a decent book with an interesting plot, and I’ll probably read any sequels, but I wasn’t really invested in what was happening to the main characters until close to the end of the book. To put things in perspective, I read the last third of the book in less than a day. In C.J. Redwine’s Defiance, we meet Rachel and Logan. They live in the walled city of Baalboden, which is ruled by the heartless Commander who seemingly protects the citizens from a dragon-like monster known as the Cursed One. Rachel’s father, Jared, was sent on a tracking mission by the Commander and is missing, and Rachel and Logan might be the only people who really believe that he’s still alive beyond the city’s walls. So they devise a plan to go looking for him…but the Commander may have other ideas. It seems the Commander might know something about Jared’s whereabouts–and why he hasn’t returned–and he’ll do everything in his considerable power to make Rachel and Logan cooperate in retrieving what he believes is rightfully his. But the Commander didn’t count on just how much Rachel and Logan want to thwart his tyranny…especially when the Commander demonstrates just how far he’ll go–and how much he’ll take away–to hold onto his power. Some people buckle under pressure, but others–like Rachel and Logan–become more determined than ever to destroy the man who has taken so much from them…by any means necessary. They’ll brave prison, loss, the Cursed One, and certain death to bring justice to the Commander. But first, they must find out what happened to Rachel’s father and what the Commander is really after. Can they do this while holding on to hope, their own humanity, and each other? What will they lose in the process? Can they fight against evil from so many sides while figuring out who’s really in control? Begin finding the answers when you read Defiance, the first book in C.J. Redwine’s Courier’s Daughter trilogy. Now that I’ve finished Defiance and thought about it a little bit more, I realize that I’m very intrigued by the story and what may happen next. (This is usually the case when I read books that talk about rising up against corrupt governments. I should probably examine that a bit.) I look forward to seeing what happens in the next book, Deception, which will be out on August 27th. Upon reflecting, I realize that the characters in Defiance have a lot in common with those in The Hunger Games. Rachel, the main character in this series, is kind of Katniss-like. Her circumstances harden her, make her stronger (in some ways), and force her to do what needs to be done. Her counterpart, Logan, is an amalgam of Peete and Gale. In my opinion, Logan is more emotional than Rachel, but he’s still a skilled hunter and absolutely ruthless when he needs to be. The Commander, of course, is similar to President Snow. He’s a jerkwad of epic proportions, and I dare any reader to get through this book and not want the man dead. If you’d like to learn more about Defiance and the rest of this series, visit C.J. Redwine’s blog at http://cjredwine.blogspot.in/. You can also find out how to follow her on Twitter, Facebook, and Pinterest. You may also want to check out the Defiance book trailer below which takes the whole Hunger Games comparison to a whole new level. This entry was posted in books and tagged dystopia, resistance to government, tyranny, young adult.